Introduction, Summary, Word Meanings and Translation in Nepali of "The Clock Tower" - "घण्टाघर". 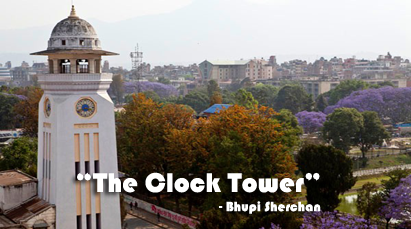 "The Clock Tower" was written by Nepalese poet Bhupi Sherchan (1936-1989). "The Clock Tower" is translated by Padma Devkota. Here is the brief introduction about Bhupi Sherchan. Bhupi Sherchan was born in 1937 and died in 1990 A.D. He was a Nepalese poet. He was born in Mustang district of western Nepal. He was awarded with Sajha Puraskar in 1970 for his poem collection "Ghumne Mech Mathi Andho Manchhe"-"घुम्ने मेच माथि अन्धो मान्छे" ( Blind Man On A Revolving Chair ). Sherchan was the most successful poet to popularize free verse. He has analyzed humans and human life in different ways but his biggest contribution to Nepalese society is that he has tried to show the way to the new generation through his numerous poems. His Himalayan nationalism can be seen in his poem "Hami"-"हामी" "US", where he claimed that Nepalese are brave, but foolish (because they are brave). Bhupi Sherchan produced several odes to the martyrs of Nepal, including "Shahid Ko Samjhanama"-"शहिदको सम्झनामा", "Main Battiko Sikha"-"मैन बत्तिको शिखा", and "Ghantaghar"-"घण्टाघर". Question Answers Of " The Clock Tower"
Question No. 1: "The Clock Tower" captures the image of a pensioned veteran who passes his days without worry or anxiety. Do you think the Veteran is happy with his present life? Answer: I do not think that the old veteran is happy because no old can be happy in his old age. When we grow old, we are simply a tatter coat upon a stick, a scarecrow. Thus he is not happy. Question No. 2: What has happened to the old military retire? Answer: The old military retire is old and rejected and has distributed all his belongings except two souvenirs; a clock and a hat. He is waiting for his last days. Question No. 3: What are the two cherished souvenirs? Answer: The clock and hat are the two cherished souvenirs. Question No. 4: Is the simile of the third stanza apt? Answer: The simile compares the old man with the clock tower, which is an appropriate simile. Question No. 5: Is the poet sympathetic towards the clock tower? If so, what words in the text express the poets sympathy? Answer: Yes, he is sympathetic toward the clock tower. "sad days of old age", having cast bait" and "broods" are the words that express the poet's sympathy. 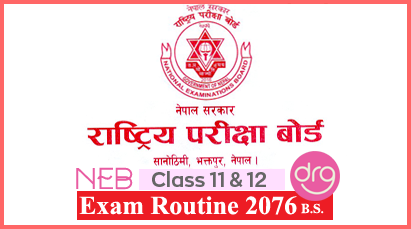 Bachelor Level Course "The Clock Tower"
Answer Questions Of "The Clock Tower"
Complete Solution Of "The Clock Tower"
0 Response to "The Clock Tower | Question and Answers"